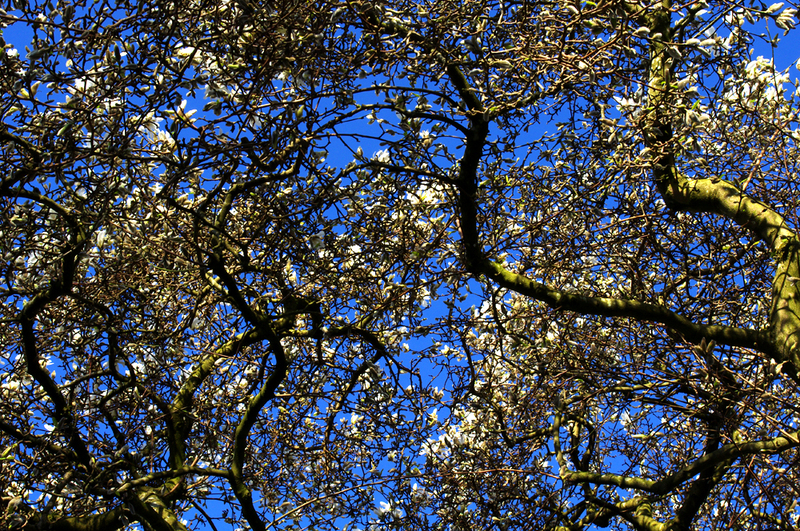 After days of rain and more rain, the sun returned this morning to illuminate these early blooming magnificent magnolias on our street, perfect for this week’s Photo Challenge: Dense. Magnolias – I love them. They were one of my father’s favourites. And have you got a copy of Mister Magnolia for the little one? White Magnolia on blue background is a fine combination. thank you Andrew for sharing these, they are lovely! Thanks Debi. 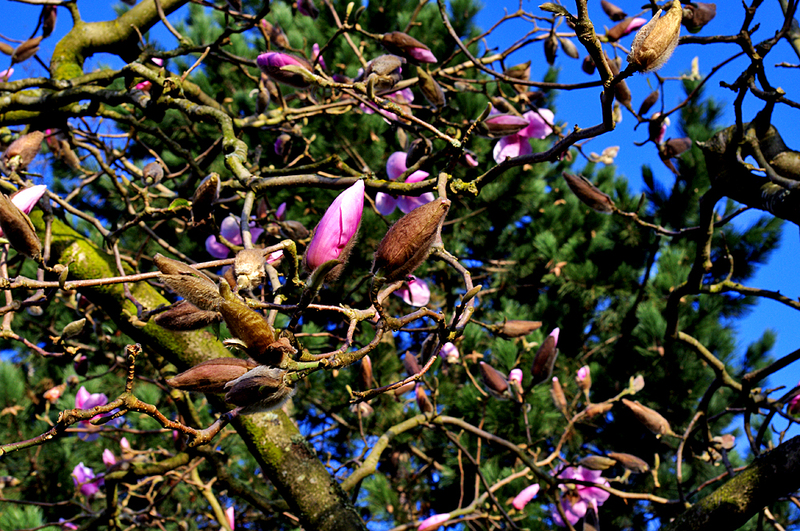 As always these magnolia are lovely once again this year.